If you want to build something new or make a major change to your building you will probably need planning permission. If your project needs planning permission and you do the work without getting it, you can be served an enforcement notice ordering you to undo all the changes you have made. So don’t risk it and check before you start. Conservatories are categorised as the same as any other extension, as set out above. *Different rules apply to flats and maisonettes. As long as the material you are using is porous there is no need for planning permission whatever the size of the new hardstanding. However if the material is impermeable anything over 5 square metres requires planning permission. In most cases there is no need for planning permission to repair or replace windows and doors. The major exception is if your property is listed in which case you will have to obtain listed building consent. And don’t forget you will need Building Control approval for windows. For minor maintenance works, or improvements such as painting your house or inserting a skylight, you do not need planning permission. As always this is not the case if your building is listed. If you live in a conservation area or an area of outstanding natural beauty, you are required to obtain planning permission if you wish to change the appearance of your home. If you live in a flat and you wish to alter the roof you should consult the local planning authority before you start any work. Temporary wind turbines do not require planning permission but permanent ones usually do. If you are unsure contact your local authority. Solar panels do not require planning permission unless you live in a listed property. Many trees are protected by tree preservation orders and you will need permission to prune them. You can phone your council to check if any trees on your land are protected. Similarly permission is required for work done to any trees in conservation areas. To find out if a tree on your property is protected contact your local council. Nearly all internal works such as loft conversions, garage conversions, new staircases, bathrooms, kitchens, or rewiring, do not require planning permission. But, do check if you want to do anything to a listed property or you live within a Conservation area. While this is a helpful starting point the HomeOwners Alliance recommend you contact your local planning authority (LPA) to check whether your project falls within permitted development or whether planning permission is needed. If the latter applies, an informal meeting with your local planning officer before you submit an application is highly recommended. Some local planning authorities charge for this service so it’s a good idea to check first. It is also a question you have to answer in the application form and can assist the LPA in dealing with your application. Unless you already have a local architect designing and submitting your plans, a good planning consultant may be an option you want to consider to help you through this process. Click here to find out more about what a planning consultant does and to obtain quotes from local planning consultants. Read our free advice guides about working with an architect and doing improvement work on your house, check whether you need a party wall agreement. 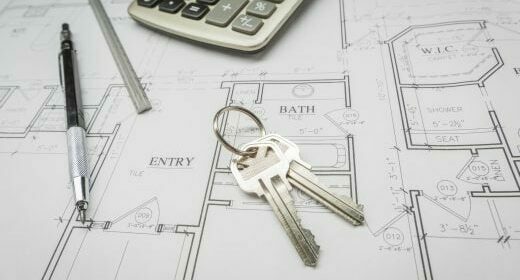 If you are doing an improvement project that involves planning permission without the help of an architect, you may wish to consider using a Planning Consultant. Then use our Checkatrade tool to find the right tradesman in your area. If you already have someone in mind, based on recommendation, then please do take the time to double check their credentials using our free service. It’s boring we know but it will give you that extra peace of mind and could save you an awful lot of time and hassle. At the 11th hour of a house purchase we found that the converted garage (attached to the house and only a basic conversion) did not have planning permission. The seller purchased the usual document that nobody is supposed to mention and retro fitting to gain permission is not allowed. Reading through some of your documents it sounds like planning permission isn’t required for the conversion and I will be able to complete it appropriately. Hi Stephen, we’d recommend that you speak to your Local Authority in the first instance. If you need to find an architect or a planning consultant or other tradesmen, you can use our website to find quotes. Do I need planning permission to build over an original single storey section of my detached house. The proposed first floor ‘extension’ is less than 5m2 and intended to serve as an en-suite. Obviously it doesn’t increase the ground floor area and is more than 7m from the boundary. Hello Murtuza, I don’t see that you’ll need planning permission to swap garages with your neighbour, but it would be best to get this documented and as you’ve suggested, you would need to check with your mortgage provider what their requirements on this would be. You can contact our conveyancing team to discuss quotes for this work. My neighbour wants to exchang his garage with mine as he is keen to have a door from the garden into the garage. I would like to understand if this needs planing permission and also what is the process of having this documenting this in the contracts as my land deed has outlined the garage boundary. Do we need to hire a solicitor for the same and also as we may need to inform the mortgage provider..
Hi Zuzana, thanks for your enquiry. Have read through of our article and then contact your local planning authority for a chat about what the chances are of you getting permission, it can vary, so best to speak with someone locally. If you need one, you can use our site to find a Planning Consultant and/or an Architect. We have 4 bedroom detached house with about 8 x 8 metres land in front of the house. Would it be possible to extend front of the house? I was wondering how high is potential of declining our request when asking for building permission? Zuzana Bunce from Grange Park in Northampton. Hi, Do i need planning permission to brick up the back door on a property ? The property in question is next door to my home and has a back door that opens in to my garden , i have recently had this property left to me by a grandparent and was wanting to brick up the back door before selling the property so as to make my garden a private area with access from my house alone, \garden access was never a problem before as it was a grandparent that lived in the house but i dont want to sell and have strangers in and out of my garden, i was also hoping that by doing this work it may increase the value of my house as it will then have a private garden. Thanking you in advance . Pete. If you have made a change to your property that requires planning permission and you have not had approval, a local authority can request that you submit a retrospective planning application for the work that you have already carried out. The local authority will make the request to the owner or occupier of the land concerned. We can assist you further, please consider becoming a member. We have a large garage and 2 years ago converted half into a utility room and shower room. The front was left as storage and has a garage door. The builders said we didn’t need planning permission and we then thought about having the front made into an office/small living room. We now find we need planning permission. Will the council make us take down the existing room if we apply for planning permission? My garden is on a steep slope and is already tiered but the bottom level is extremely low so there is a big drop. Having children we want to make this safe and build it up 2-3 foot, do I need planning permission for this? There is already a retaining wall of railways sleepers built high enough to hold the new height and as it is still going to be the lowest part of the garden will not overlook any of the neighbours any more than the top level we already have which is the level of the house and the patio outside. I am told this is a grey area and I am struggling to find out what I can and can’t do and if I need planning. I have been told different things by different people from the council so I am none the wiser as to what I can do but can’t find anything anywhere that stipulates what height I can raise my garden level by with or without planning. I read your articles and found your writing very easy to follow and informative. Whilst interesting to read I wasn’t able to answer a dilemma I currently find myself in. This email is to ask if you might be kind enough to refer me to a relevant paper/article. In summary, I have planning permission from my local council to extend (considerably) a current property I bought as a family home. It had not been lived in for two years so was in a bad way. We planned to keep a few walls, but really this would look like a new build. When demolition started to take down walls I was advised by my builders that the remaining walls were not sound and they collapsed (the mortar was made of ash), also there had been floor sinkage in some corners of rooms and we were advised to replace all foundations and walls. This has meant a replacement application has be submitted to the local council. The council refused our request for a material change even though we have made no changes to the design, just the replacement of old walls. This is a detached house and we have one set of neighbours who opposed the original resign of the house. We changed our design and made flat roofs to accommodate planning advice which then got approved. The same neighbours are trying again to oppose our build. This is very stressful and I am worried we could be refused planning permission this time. With the walls knocked down we have no way of going back to the original planning permission, although the footings are still there if this is worth an argument. My question is: How likely is it that they could refuse planning permission now? If they do, on what grounds? What can we do about it? I would be so grateful if you could offer any guidance in this matter. Thanks for your query. Please have a look at this answer from one of experts on the question: Can I put a double storey extension on my semi detached house under permitted development?. We also have a useful guide that you can have a look at: Do I need planning permission?. Do wish you all the best with this. We currently have 2 single story buildings on the back of our house 1 is a dining room & the other is a bathroom extension this was done before we bought the house. Can we build on top of these extensions without planning permission? I intend to purchase a new-build detached property, however neither ground floor water closet of first floor family bathroom have a window. I would like to be able to create new windows in each. My conveyancer has advise that they cannot suggest any changes to the developers contract to allow this, and my best bet is to take up this request directly with the developer. Can I not have this written in the contracts? How amenable are developers (this is one of the majors) to these type of request? Obviously, any window created would be to the relevant Building Reg, obscure, glazed, etc. Can u build a property under 4m tall on private land without planning permission brand new? I want to know if a detached house can be turned into two maisonettes under permitted development. I think I must have dreamt it but I was under the impression you could- However,I now can’t find a definitive answer on the net. My local Planning department won’t give advice on phone or even see people at their offices, so can’t get any joy out of them unless I put in a pre-app which apparently takes weeks. I am an Aussie who bought this house 7 years ago. We got a tradesman to fit a door from our kitchen to garage. A door size wall was removed to fit t the door. The tradesman did not indicate anything about planning permit. I am now about to sell my house, I was told by my neighbour that I need a permit. I have terraced home, I planning to do internal work within my home which should not affect anything outside. 2. I have long living room with has arch type wall at the middle and I would like to change the arch shape wall to rectangular and add push doors. Would I need planning permission from my local authority or can this be done without and anything else i required to cross when carry out this work? I have a semi detached house with an double extension partly across the back , I aim to build a single story extension using the neighbours consent scheme to 5.5 metres across the other half of the rear of the property – however the new extension will stagger the double extension slightly. Is this allowed under permitted delevelopment neighbour consent scheme ( up to 6 m for a semi )? Question…we currently have a single story rear kitchen extension this was done before we bought the house. Can we build on top of that extension without planning, if it’s less than 3metres from original house wall? PARTY WALL took about a 12 Months and Cost us £4000 including a Planning document change to clarify how Foundations would work.